A modern country with an ancient past. A land of isolated turquoise coves and rugged snowcapped peaks. Of Aegean olive tree groves continuously cultivated for thousands of years. Of brilliant white travertines and honey-combed canyons formed over millions of years. Persians, Romans, Greeks, Ottomans, Old Testament prophets, Christian apostles and Sufi mystics have all called it home. Come, experience Turkey. A land where you can discover the immortal and unforgettable, the beautiful and breath-taking… Experience it! ITS has created the ultimate way to see Istanbul. These custom-designed tours bring you the best of this marvelous imperial city, featuring air-conditioned transportation, experienced professional guides who speak flawless English, German, French, Italian or Spanish and professional, friendly drivers. So, enjoy seeing Istanbul, confident you can leave all the rest to ITS. In Anatolia and Istanbul, ITS brings you longer voyages of discovery that give you a chance to get an insider's perspective on the places you visit. Focusing not only on history but also on culture, art and crafts, these tours feature superior accommodations, air-conditioned transportation, experienced professional guides who speak flawless English, German, French, Italian or Spanish and professional, friendly drivers. So, relax, because while you discover Anatolia and Istanbul in style, ITS handles all the details. With ITS, you'll experience the beauty and magic of the Mediterranean and Aegean. Discover the history and natural beauty of the scenic coasts that were home to the Ionians, Phrygians, Romans, Seljuks and more. These exclusive programs feature spacious, luxurious yachts and traditional gulets with experienced crews and licensed captains, full gallies, air-conditioning and more. So, while you relax, swim and discover isolated coves and secret treasures like Cleopatra's private beach, ITS ensures you want for nothing. 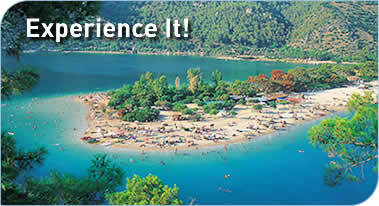 to visit when you tour Turkey with ITS.